The Exhibition represents the largest and most important work ever made by Peter Demetz. 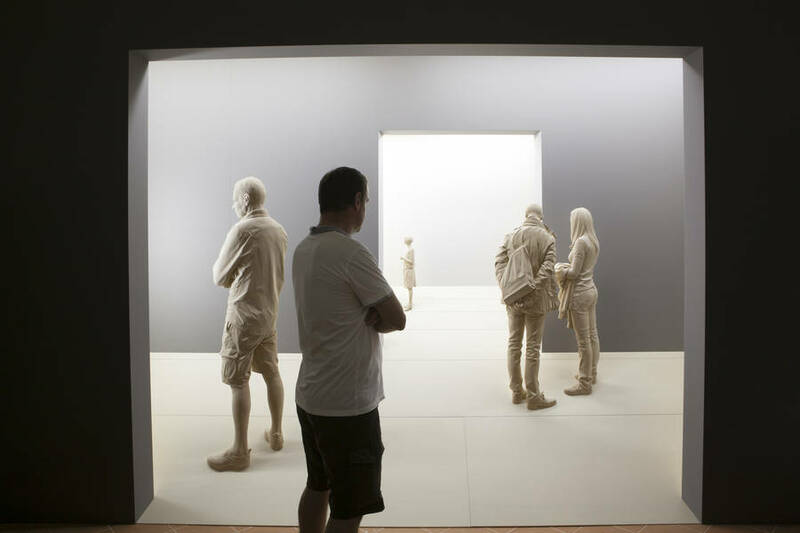 It features life-scale spaces and human figures. 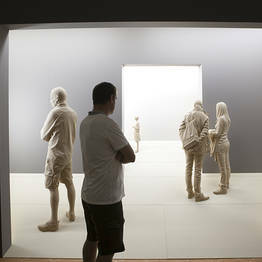 It aims to describe a possible situation within the exhibition area itself, whether in a museum, gallery or art fair. 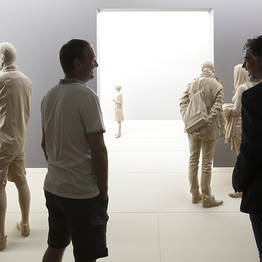 The visitors within this space observe the exhibited works, move around them, or ponder. There is nothing else besides the people. The rooms are completely empty. 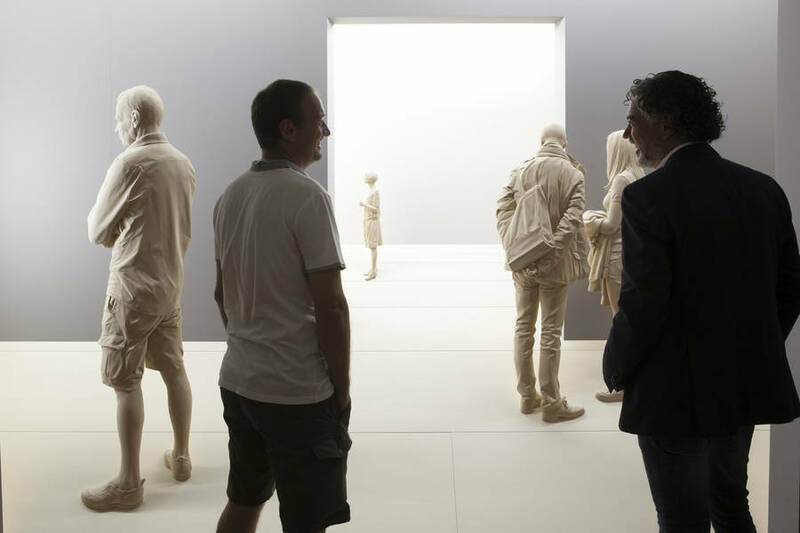 By depriving this exhibition space of the works of art, the viewer's interest is instead focused on the 'real' people represented, that is, the people in the room. The artist's aim is to invite the viewer to identify with the figures and the space, as if they were before a mirror. Visitors are invited to look at themselves, to question themselves, to ponder, to identify themselves. Born in Bolzano in 1969, currently lives and works in Ortisei (BZ). After studying at the Ortisei Art Institute he was an apprentice to Master Heinrich Demetz, consequently obtaining the Sculpture master degree. Ever since, he has participated in numerous exhibitions in both Italy and abroad (Austria, Germany, United States, Belgium, Turkey). Since 1999 and for the following three years, he studied pedagogy, didactics, psychology of learning and development. Since 2001 he's been dictating courses and seminars on wood carving. From 2002 to 2006 he was Head Teacher for the Art Sculpture Course at the Lignea University of Zwickau in Germany, as well as the Schneeberg's Faculty of Applied Arts and the Daetz-Centrum in Lichtenstein. 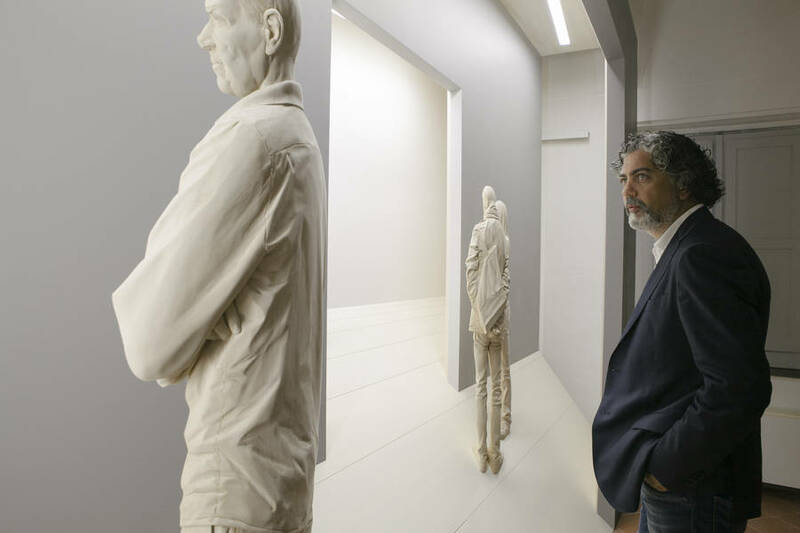 From 2007 to 2010, he achieved major awards in art contests such as "III Trienale Ladina", the "Arciere Award" and the "XVIII Sulmona Prize" placing himself among the most interesting sculptors in today's art scene. His art has been strongly supported by the Swarovski's Design Center in Wattens, the LKJ-Sachsen in Leipzig and Daetz-Centrum in Lichtenstein. He collaborates with the White Room since 2011.